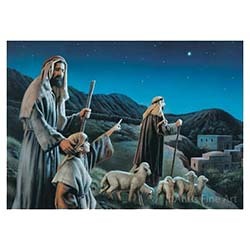 A beautiful portrayal of the Shepherds who were blessed to know of the birth of Christ and follow the angels to Him. 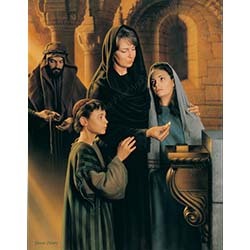 This was a commissioned painting created specifically for the book ? 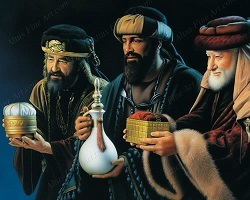 ?his Is The Season?? 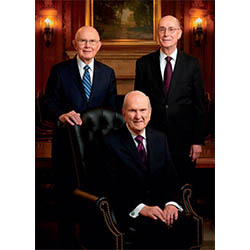 I wanted the love and sacrifice these men showed to come through on their expressions. 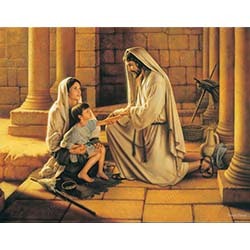 Just as they made great sacrifices for Him, so should we. 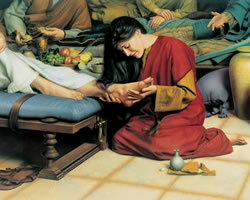 We all have our own gives we can lay at His feet: our time, talents, our very lives. 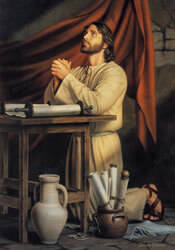 It is our heart, and the true expressions we show as we give our gifts that will let Him know of our love for Him. 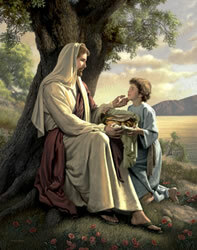 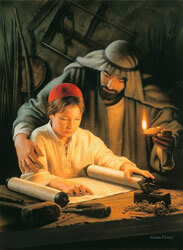 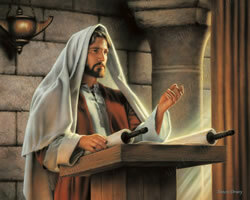 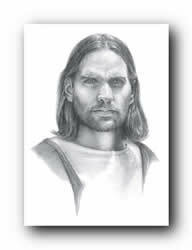 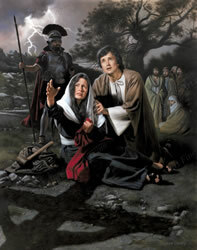 Simon Dewey is a well beloved artist whose paintings center around the life of the Savior Jesus Christ. 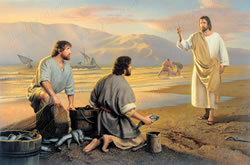 Many of Simon's paintings illustrate the stories of the New Testament and Christ's Ministry. 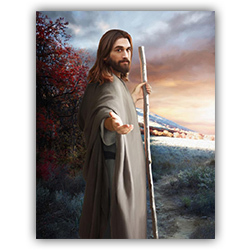 In this painting, Christ is shown taking a momentary pause in His journey to gaze back towards us, with a hand outstretched in invitation, saying “Come, Follow Me”. 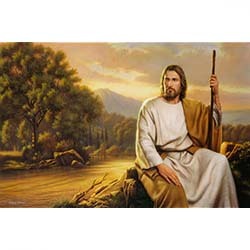 Note that He is leaving the dark and dreary wilderness, and entering into a meadow full of light. 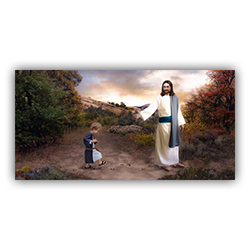 All of our lives can be full of light if we but choose to follow Him. 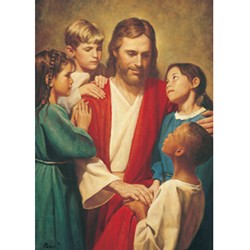 At the heart of LDS Bookstore is a dedication to following Jesus Christ and helping others to do the same. 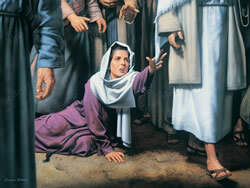 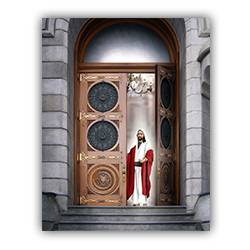 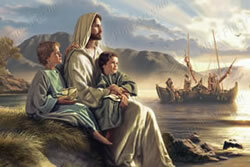 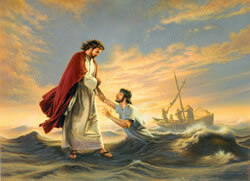 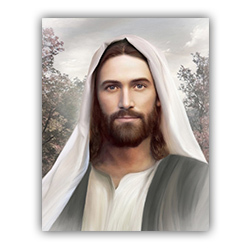 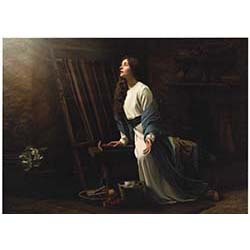 We are proud to carry a beautiful and reverent collection of artwork that depicts images of the Savior. 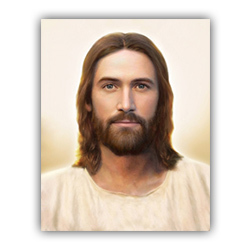 From portraits and images of Christ's life to artistic renderings of the Savior with us all, we hope you will find a piece of art that speaks to you. 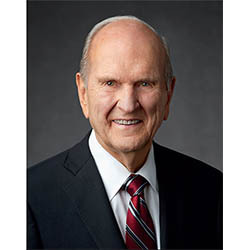 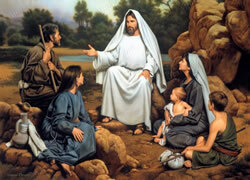 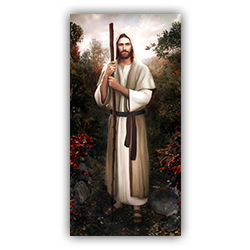 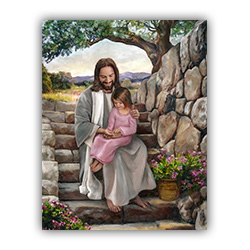 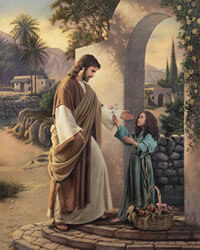 We hope our art of the Savior will inspire and encourage you and those in your life.